We are Exporter and manufacturer of economy door, economy interior door, economy security door, exterior economy doors, economy metal doors which are Hallow Metal Doors filled in with Impregnated Kraft Paper Honey Comb ( Imported from Netherlands) which is Glued to the Inner Surface of the Door and Sealed for Acquiring Much Better Strength than a Normal Wooden Door. These Doors are PU Powder Coated to improve the Elegance, Look and Life of the Door. Steel Doors are available in Single, Double, Triple and Four Door Range with variety of Colors to meet the choice of the customer. 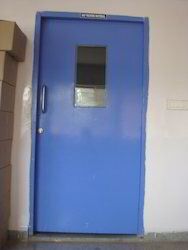 As the name indicates, these doors are very economical and are available at the cost of a normal Wooden door. Looking for Steel Doors ?